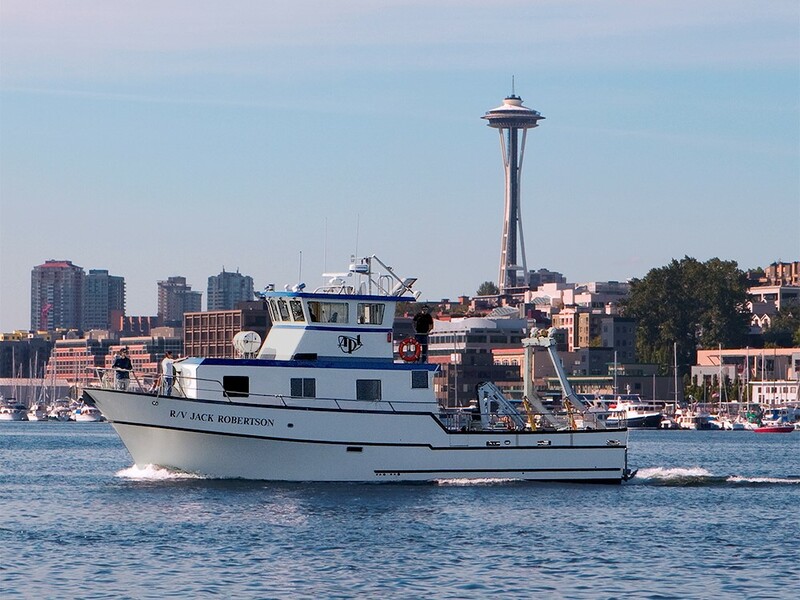 Depending on the size of the vessel, safety regulations may originate with the state of Washington, federal Occupational Safety and Health Administration, the U.S. Coast Guard or the University. Some of the UW’s larger vessels are also part of University-National Oceanographic Laboratory System. The UW Boating Safety Program is administered by the EH&S’s Boating Safety Program manager. At the department level, boat owners oversee day-to-day boating activities, training and vessel maintenance, according to UW standards and policies. The UW Boating Safety Program does not manage or administer the use of recreational vessels. Only vessel operations, motorized or non-motorized, that are required for research or employment-related tasks are overseen by the program. The UW is committed to safe boating. If you observe potentially unsafe practices, conditions or have questions, please feel free to report it confidentially to the Boating Safety Program manager. In order to stay safe, do not conduct any vessel operations without the proper training. You must be authorized by your departmental boat owner to conduct boating operations in affiliation with the UW. Follow the standards in the UW Boating Safety Manual. Do not operate vessels without approval. Plan your boat operations in weather conditions appropriate for those operations and vessel size. Training is currently offered at the department level. If you do not know who your departmental boat owner is, please contact the Boating Safety Program manager. Does the UW have boats available to rent for my research? Yes, several departments have boats available for use on UW research projects. You will need to either be trained and approved as a vessel operator by that department prior to boat operations, or you will need to contract a boat operator to run the vessel for you. How do I find out who my departmental boat owner is? Please contact the Boating Safety Program manager for a list of current contacts. Do I need to follow the UW Boating Safety Manual standards and requirements in order to use a recreational paddle-craft? No. The UW Boating Safety Program only applies to non-recreational vessel use. However, if you are using non-motorized paddle-craft for UW research, you must follow the paddle-craft guidelines in the Boating Safety Manual. Where can I find more information regarding the Thomas G Thompson research vessel? Find more information about the Thomas G Thompson research vessel on the Oceanography department website.